River Borne Outfitters is an Oregon fly fishing guide service based out of Bend, Oregon and out of their Deschutes River Fly Shop and Camp on Highway 26 just out of Warm Springs. The fly shop and camp are across the highway from the Lower Deschutes River and minutes from the Warm Springs put-in and Mecca Flats, meaning you would be hard pressed to find a guide service that has more experience and does more trips on this section of river. 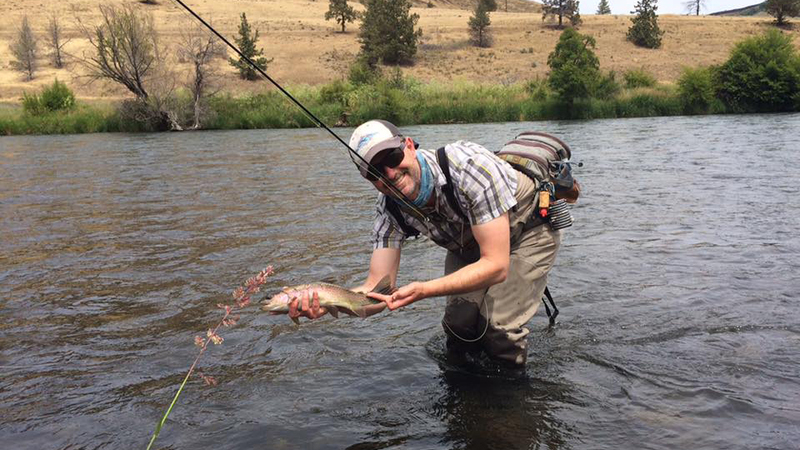 River Borne Outfitters offers one-day and overnight guided fly fishing trips for native “Redside” rainbow trout and steelhead on the Lower Deschutes River. They describe their full-day and half-day walk in trips on the Crooked River near Bend for wild trout as the best trip option for beginning anglers. They also offer group and private fly fishing classes and casting lessons locally on the river, and at the fly shop and camp, as well as Central Oregon private lake fly fishing, and winter steelhead trips throughout Oregon.